With the rapid economic and demographic growth of India and China, the rise of South Asian economies and the looming threat of piracy, there is a veritable "scramble" for sea power in the world's third largest ocean. Despite the boom in air travel in the past century, 90 per cent of global commerce and 65 per cent of all oil travel by sea. Robert Kaplan, in his maritime treatise Monsoon, notes that the Indian Ocean currently accounts for half of the world's container traffic. Global energy needs are expected to rise by 45 per cent in the next 20 years, according to the US Energy Information Administration (EIA), and most of this growth will be fuelled by demand from India and China. The bulk of India and China's crude oil imports are from the Persian Gulf - more than 60 per cent of oil bound for China crosses the Indian Ocean through the Strait of Malacca, a narrow channel of water that separates Malaysia from Indonesia. The military response to pirate attacks has brought about a rare show of unity by countries that are either openly hostile to each other, or at least wary of co-operation, military or otherwise. Military counter-piracy operations are conducted by naval ships from the Combined Task Force 151 (CTF-151) of Russia, China and India. 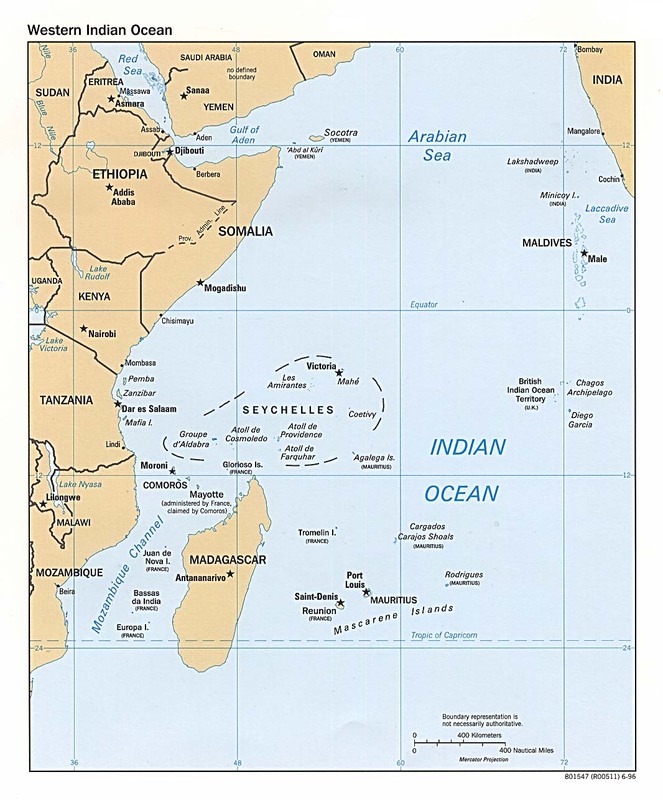 The International Maritime Bureau reports that by the first half of 2010, these increased policing efforts by Somali government authorities on land, along with international naval vessels at sea, contributed to a drop in piracy in the Gulf of Aden from 86 a year before to 33. According to Ecoterra, however, as of mid-November 2010, more than 500 crew members and at least 31 foreign vessels remained in the hands of Somali pirates. The implications of these power plays for East African economies are far-reaching. Terrorism, drug smuggling and piracy are among the main challenges being staged in the Indian Ocean that directly affect East Africa, and that the governments of the region must confront. 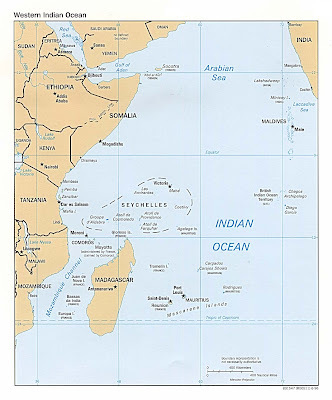 The pertinent question at the moment is how military and political alliances between East African states and dominant naval powers in the Indian Ocean will play out. Yes, that is a very good question. “Little Norway is a major power on the high seas, and this is perhaps the only area where the international community has special expectations regarding our contribution,” Henriksen told DN. “While the number of attacks increase and the pirates build up their arms, the Norwegian authorities have pulled out,” Henriksen claimed. “In this situation, Norway is leaving it to others to protect our own fleet. The Norwegian authorities aren’t showing any will to protect Norwegian ships or their crews.